MONTGOMERY, Ala. — An Alabama Supreme Court justice who denounced the suspension of Chief Justice Roy Moore has announced his candidacy for Moore’s previous seat on the bench. “For twelve years I’ve been honored to serve as a strong, conservative voice on the Alabama Supreme Court. Today, I’m announcing my campaign for chief justice of Alabama in the 2018 primary election, to succeed Judge Roy Moore, who was unlawfully removed from office,” Tom Parker said in a statement on Wednesday. Parker, who previously served as an assistant state attorney general under Attorneys General Jeff Sessions and Bill Pryor, also worked as the special projects manager for Moore’s Foundation for Moral Law. Like Moore, he has been outspoken about the biblical foundations of law and government. 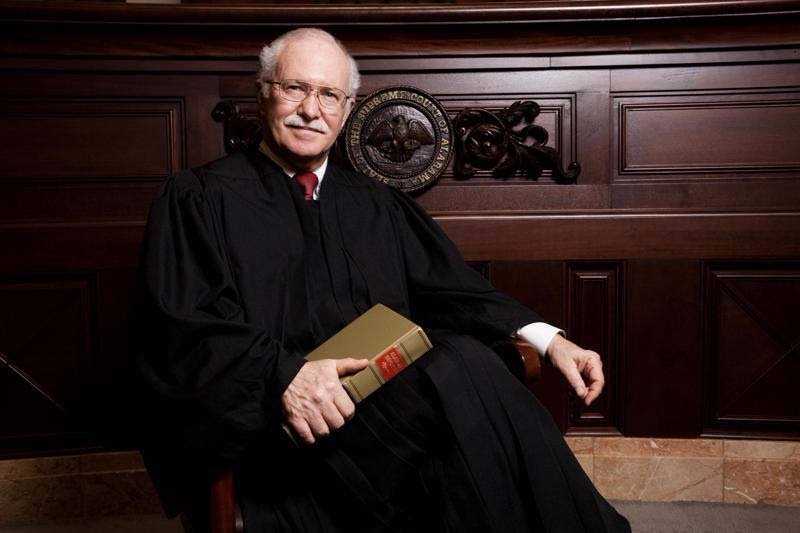 “The very God of Holy Scriptures, the Creator, is the source of law, life and liberty,” Parker declared during his investiture to the Alabama Supreme Court in 2005, pointing to the writings of Sir William Blackstone, whose Commentaries on the Common Law were used by attorneys and the courts throughout early America. “It is to Him, not evolving standards or arbitrary pronouncements of judges, that the leaders of every nation owe their ultimate allegiance,” he said, also pointing to Isaiah 1:26, which speaks of restoring the judges so that the nation may walk in righteousness. Throughout his tenure, Parker has been known for ruling on the side of life. “[F]rom the child’s earliest stages of development, the existence of an unborn child is separate from that of its mother’s,” he wrote in an 8-1 decision in 2014, which concluded that state child protection laws include the unborn. “Accordingly, Alabama has an interest not only in promoting a sustainable society and culture that appreciates life, but also in securing the blessings of liberty by protecting the right to life inherent in the new life itself,” Parker said on behalf of the majority. “[I]n regard to the Obergefell decision, where it was clear that they jumped outside all the precedents in order to impose their will on this country, … yes, resisting that decision could maybe state a revival of what we need in this country to return to our founding principles,” he said, according to filed documents. But unlike Moore, who was suspended from the bench in September, the complaint against Parker was dismissed by the Alabama Judicial Inquiry Commission (JIC). Parker has denounced Moore’s punishment as being unjust. On the same day the Moore announced that he would be running for the U.S. Senate in light of his term-long suspension, Parker also declared his candidacy for Moore’s seat, which is currently being held by Lyn Stuart. Parker is a graduate of Dartmouth College and Vanderbilt University. During his years as an attorney with Parker & Kotouc, P.C., he was known for his defense of churches, Christian schools, and homeschoolers. He has spoken at numerous Christian and Republican events, including in February when he gave a presentation on “The Christian Foundations of Early American Law” for the Limestone County Republican Party.